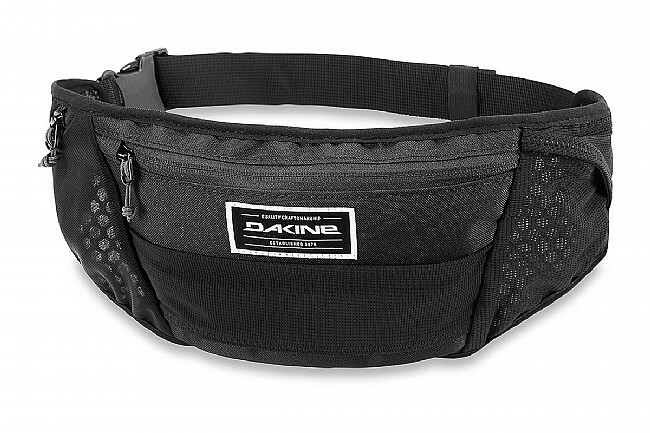 The Dakine Hot Laps Stealth is the perfect remedy for people not wanting to wear a pack when cranking out laps at the park or local trails. Designed to be worn under a jersey, the Stealth features just enough storage to keep you from walking home: a mini-tool, spare tube, a gel, your phone, and some cash. Bonus: the Polygiene® treatment keeps the bag odor free for multiple rides. Breathable air mesh backpanel with Polgiene anti-microbial treatment. Internal fleece lined phone pocket. Tool, tire lever, CO2, and tube specific storage. 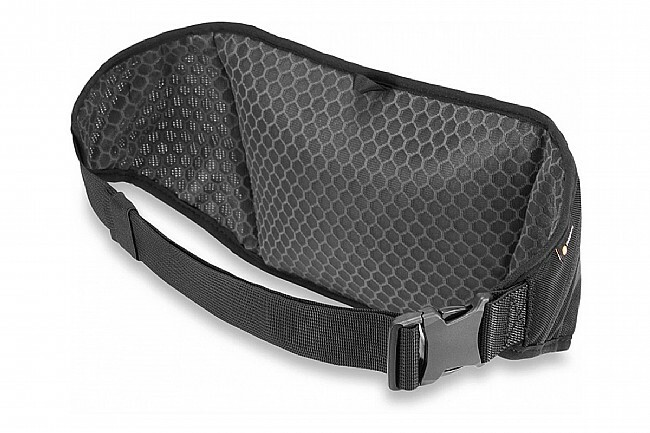 Micro-stretch waistbelt for added comfort. Well-designed small bag for tools, tube, and incidentals. Can be used under a jersey. Well-designed bag for small loads such as tools, a tube, and other incidentals. It fits rather flat, so will work fine under a jersey, but the flat design does limit it's carrying capacity. A stretch pouch outside the main compartment will fit a road tube, no problem, though a MTB tube is probably too large. Hipsters, if you want to carry a can of PBR with you, look elswhere. Ditto CCW types, your compact 9mm is too big for this bag. Despite the smaller size, I find this bag very useful for many rides, to carry my phone, wallet, and tool kit, leaving jersey pockets for food, and a wind shell. Also good for summer use, when it's great to have nothing in your jersey, so completely unzipping for a Flapper is easy.